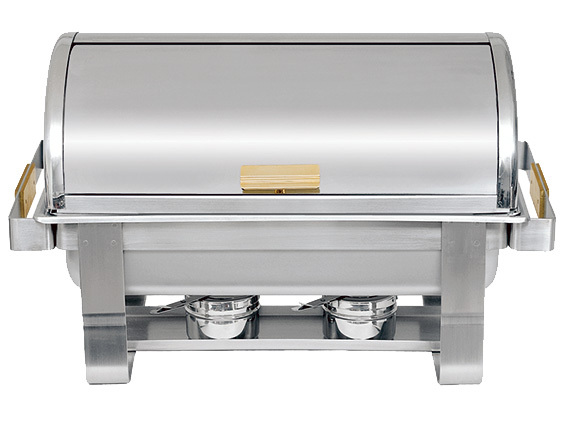 Full size, roll top cover, stainless steel, polished finish. 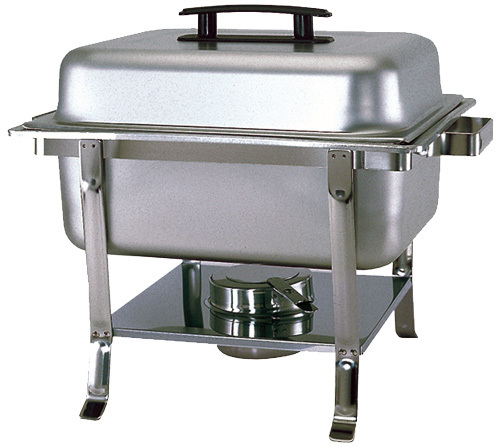 Chafer, 8 quart, full size, roll top, heavy duty stainless steel, with brass handles and knob. 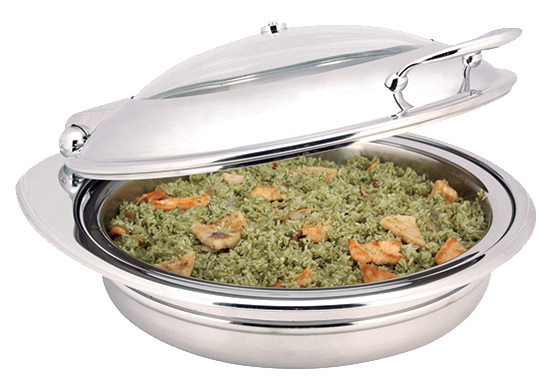 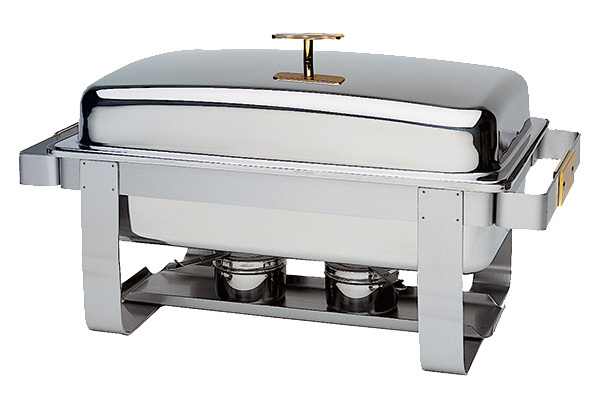 Chafing Dish, Full Size, 8 quart, Gold accents, (cover can rest upright on water pan), Grandeur design. 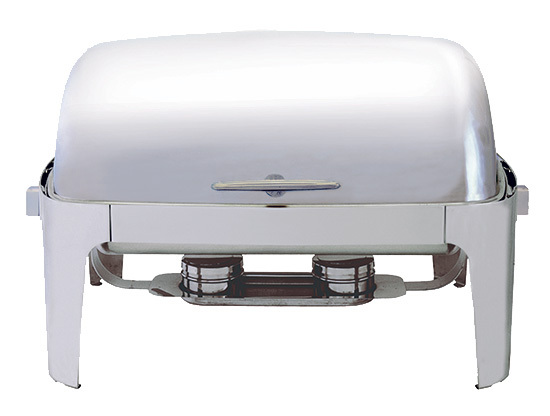 Induction chafing dish chafer, 6 quart, 14.18" diameter, glass lid, built-in slam resistant top, rear stabilizer leg, mirror polish stainless steel. 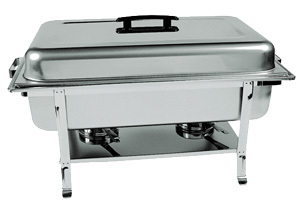 12 1/16" x 20 1/16" x 6 1/2"